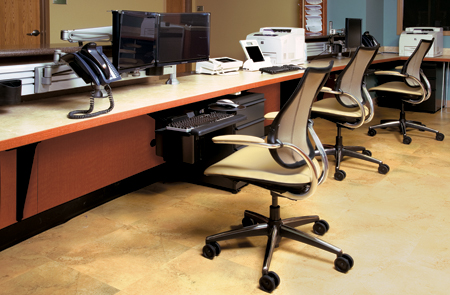 The Access Rail is a virtually infinitely configurable rail system that adds space to any desk or workstation, creates better organization of desktop tools, and improves the user’s access to and interaction with those tools for better working comfort. 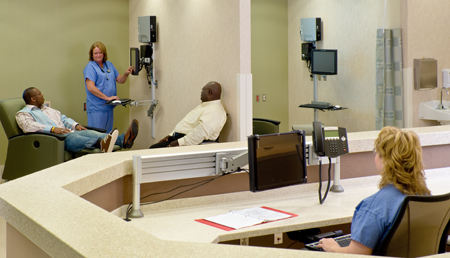 It is designed for use in PACS environments, NOCS, Command and Control Centers, 911 Centers and wherever multiple monitors are used or desktop space is limited. 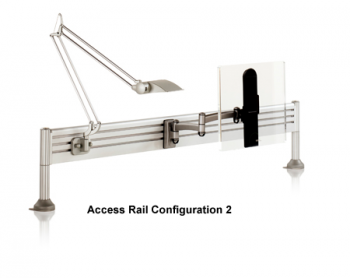 The Access Rail is also ideal for benching applications.